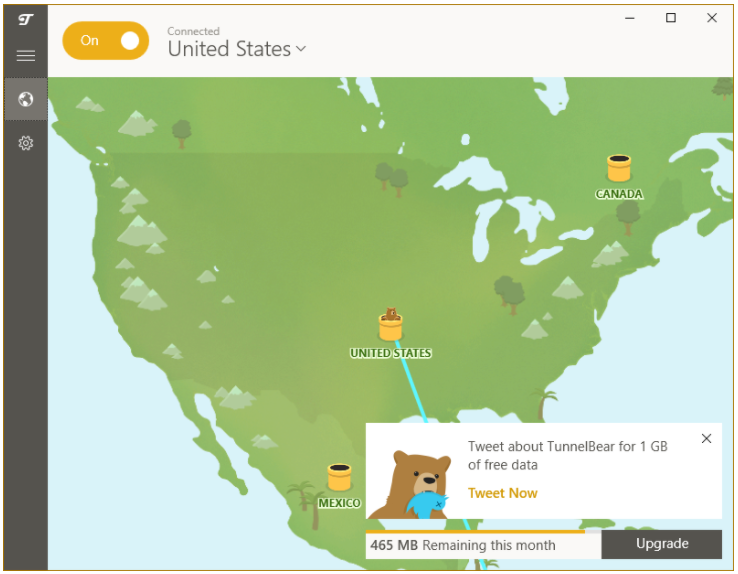 TunnelBear is a Canadian VPN provider offering a cross-platform client backed by a capable network of 900 servers in 20 countries. It’s not the largest server coverage on the market, but their VPN provides acceptable speeds and high-end privacy for a reasonable price. If you’re after ease of use and no-hassle experience, you just might find TunnelBear an ideal solution for the moment. 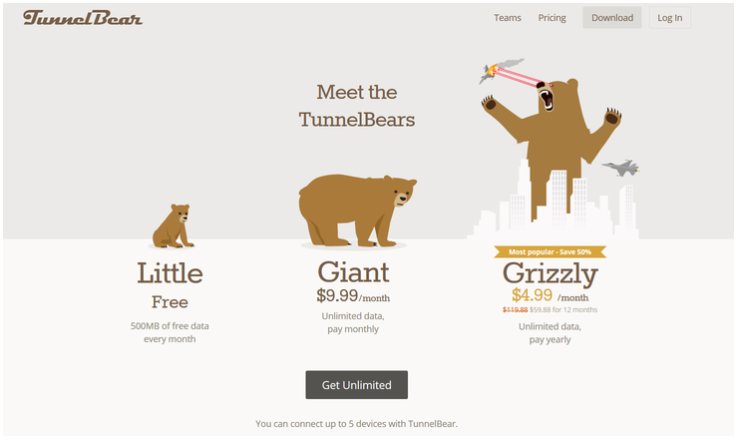 TunnelBear’s pricing is fair, with a free trial that gets you 500MB of data every month, and the additional 5GB for spreading the word about the provider. If you need a VPN for a very limited time every month, you can make do with a free account. “Giant” is a $10-worth monthly plan that covers up to five devices – no data caps. The best deal is the “Grizzly” plan that will set you off $60 a year, which is a bargain by all modern standards. Hideman accepts credit cards, PayPal, Mint, WebMoney, and some other options including Bitcoin. All paid plans are backed by a 30-day refund policy, which isn’t overly restricting. VPNs can be complicated, loaded with cyber jargon and intimidating technicalities. But it’s not the case with TunnelBear, where every feature is translated into layman terms. The functionality and customization are slated toward the beginners. Signing up requires your email, but that’s about it – you don’t need to submit more identifying details. Overall, you’re up and running in a matter of seconds. The desktop app is a breeze to use and comes with lots of toon-style eye-candy. It’s almost as if it was made for kids. One moment your bear is in the honey pot in your country but hit connect and it digs a tunnel to resurface somewhere else. The final accord is the bear roar signaling you’re connected. Usability is superb with their client. The map, locations list, and the settings are as straightforward and self-explanatory as they can get. 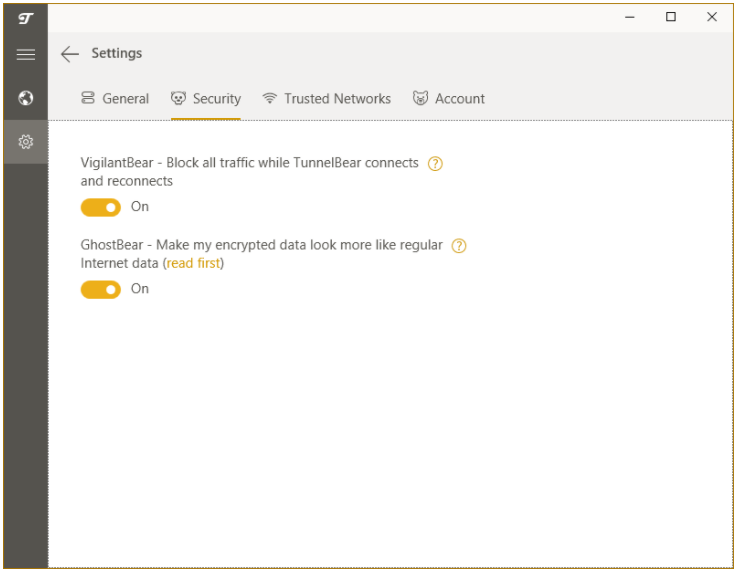 You can run TunnelBear on Win, Mac, Android, and iOS – the mobile apps are native and mirror the desktop UI but with fewer settings. They also have browser extensions for Chrome and Opera. Some settings come with a question mark that takes you to the TunnelBear website, explaining the gist of the feature in the plain language. Their support is ticket-based, so expect some delay if you need direct assistance. TunnelBear settings focus on fundamentals. They deploy OpenVPN by default and 256-bit encryption, but there’s no breakdown of technicalities or ways to tweak them. Aside from the auto-start behavior, you can only toggle two security settings here – VigilantBear and GhostBear. The first blocks all traffic while the VPN connects and disconnects. The second adds a layer of scrambling to let your traffic look more like regular Internet data for extra security. Trusted Networks is another setting you can tweak to white-list Wi-Fi networks you trust. If enabled, this toggle will launch the VPN once you connect to a network that’s not on your trusted list. That’s it. No kill switch, NAT firewall, DNS leak protection, or other nifty bells and whistles. I won’t blame you if you find it limiting, but if you’re after ultimate simplicity TunnelBear is your thing. On the bright side, the VPN allows up to five simultaneous connections in the paid plans, which is just about enough if you’re anything like me and have multiple devices for multitasking. 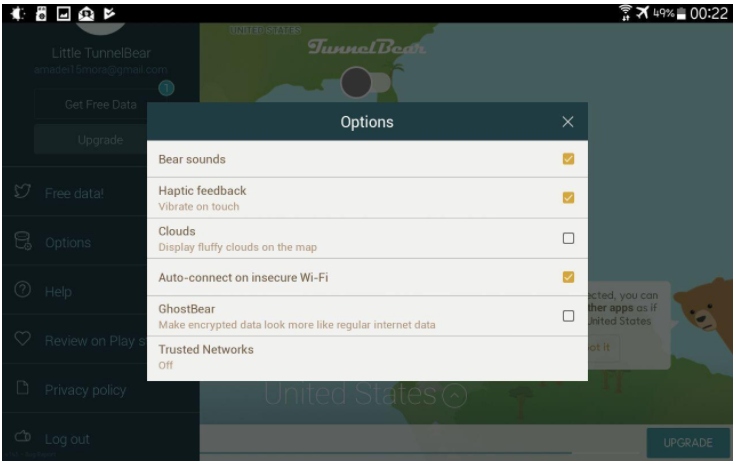 TunnelBear VPN comes with 20 server locations and 900 servers. You can’t choose a server, however, as the app only lists locations. Unavoidably, speeds tend to drop if you connect to servers located in distant regions, and TunnelBear is not immune to the effect. You should know well before you commit that TunnelBear doesn’t allow illegal torrenting. Like it or not, Canada has strict copyright laws. 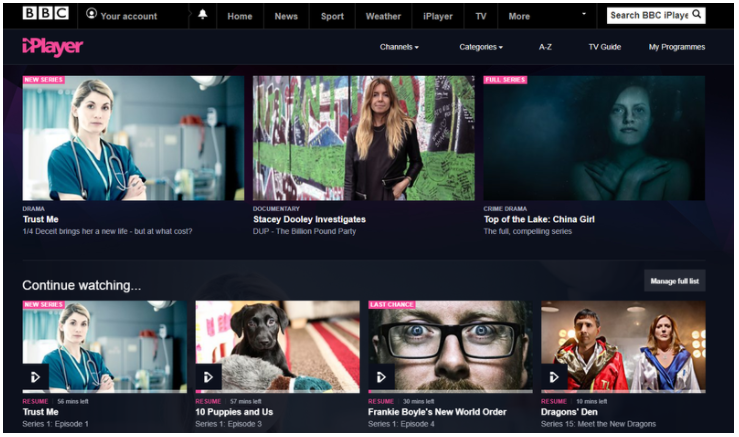 The Netflix VPN police didn’t let me in, but the BBC iPlayer got successfully unblocked. This is good news except for the sub-optimal UK server speeds. TunnelBear’s Privacy ﻿﻿Policy and ToS are light reading without obscure legal speak. They keep no activity logs. No session data, websites you visit, DNS queries or assigned IPs. They do keep your email and your first name, plus the total amount of data consumed per month, and OS version of your hardware. I appreciate how the provider has the breakdown of every piece of data they collect and how they use it. Few VPNs do that. I haven’t found anything in their PP and ToS to point the finger at, but be warned they’re headquartered in Canada, so you won’t be using their VPN for torrenting. Copyright (c) 2019 BestVPN.org. All rights reserved.